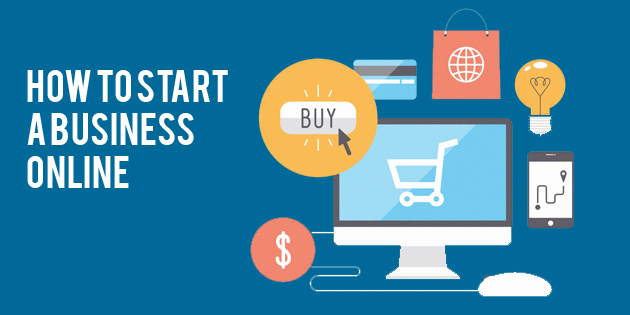 Starting an online business could be very challenging and overwhelming. If you make a mistake at your initial stage of starting your online business, chances that you will be successful online is very low. You need to have the right things in place and take the right steps to succeed online. In this current millennium, more and more people are now turning online for extra income. You have to be very smart to surpass your online competitors. One of the quickest way is to expose yourself to online educative resources that will teach you how to start an online business the right way. Learning is the key to become an expert in any field. When most people think about learning, they assume they need to look to step-by-step guides or roundups of brilliant examples. But that’s not the only way to learn something new. In fact, some of the most influential blog posts I’ve read have something very different in common: They contain original data. That’s why today’s email post on “Starting Your Online Business”. Many people make a big mistake when they start their online business…. This is because they never perform in-depth market research before choosing their focus niche. The first thing you want to do before starting your online business is to check if there is a demand for your service or products. How can you do this? Simply perform Google search on your chosen topic or niche. Google will show you the volume of people that are performing search on that particular topic. Most importantly, you can be more confident about your chosen topic or niche when you see “sponsored Google Ads” at the top of your organic search results. Sometimes, you will also see the “sponsored ads” on the right side of your search results. 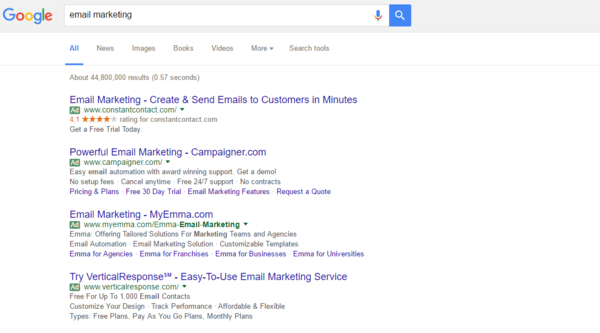 The organic search results are usually displayed on the left side, while “sponsored ads” are displayed on the left side and also at the top and bottom of the right side. The diagram below shows you an example of how Google search results look like. The search performed below is “email marketing” This shows that people are interested in this topic or niche because marketers are paying Google to promote their service and products for this keyword. If you decide to use this keyword, you will want to pick a niche related to this keyword. For example, offering service based on email marketing or selling products related to email marketing. The next step after choosing your niche is to find a way to surpass your competitors. There are helpful tools you can use to detect what your competitors are doing, such as the number of backlinks they have, the names of the websites they are linked to, analytics and many more. A software that i know which is very helpful is called SEMRUSH. You can just Google “SEMRUSH”, and you should be able to locate their website. They have a free and paid plan for their service. You don’t really have to pay for the paid plan if you are not planning to use it for a long time. After you are finished with your market research, you need to find a suitable name for your business. My advice to you is to use a name related to the kind of business or niche you chose. After you register your domain with them you also need to sign up for a hosting service with them. You can call their customer service number anytime. They are available 24 hours/7 days a week. They will be happy to help you with your concerns and any problems choosing a hosting plan.